Of my birthday albums, I’ve saved this one for last, because honestly I don’t think that Death Cab For Cutie can possibly disappoint. 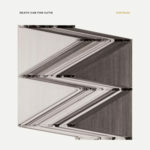 While the breadth of my Death Cab For Cutie listening experience is not exhaustive, I think that of all the albums, nay, of all the songs, I’ve heard by them, I can’t call a single one anything but good. You seem to be actually reviewing the music, Pete. Are you feeling okay? This is normally the bit where you go off on a ramble about lemon curd or notebooks. Ah, you got me. In idiosyncratic fashion, this review is actually going to be about cars. It’s about a month since I started listening to this album, and for the last two weeks I haven’t actually listened to it much at all. There’s an explanation, but some background is required. For years we’ve been vaguely intending to replace the car “at some point”. We bought it in 2004 and it was already three years old then. Since then, it’s been an absolutely fantastic little motor, giving us very little grief at all, but this summer our vague intentions have gradually become more concrete, and we’ve been taking the project a bit more seriously. It had a few repairs that needed doing, each of which would have cost a few hundred pounds. I had the funds available to replace it outright, so figured that it was about time. About 10 days ago I went to hand over our old car and collect the new, and since then we’ve discovered that the stereo in the new car won’t read CDs. The garage are going to fix it, but until then, no CDs, and since I haven’t gotten round to ripping Kintsugi and putting it on my USB drive, I’ve been listening to other stuff in the car. Yeah, sorry, I couldn’t think of a way to make it interesting. So you know how certain albums get associated to particular places or events in your mind? The albums that your parents played in the car when going on holidays will then always have a connection to that holiday? Or a particular album that you played on repeat back when you were a teenager, and a girl that you were besotted with didn’t reciprocate, will always remind you of your painfully embarrassing self-piteous behaviour during that period? Well, in such a vein, Kintsugi will surely become the album that reminds me of “The Astra”, 2001-2017, almost certainly by now stripped, gutted, and compressed into a metal cube, or plonked onto a pile of seven other cars in a local scrapyard where it can rust, rust, rust for the next few years. So, now you’ve got that out of your system, do you want to talk about the album? Don’t rush me. I’m having a bit of a moment here. Well, upon first listen, my thoughts were that it was good, but not their best. Nothing on here had the same impact on me of the greatest tracks of Plans or Narrow Stairs, but to be honest those albums were so spectacular in both lyrical content and arrangement that they’d be difficult to beat. I suppose part of the problem might be the source of inspiration behind the words – whereas Plans was broadly about the unpredictability of life, and how you can’t control your destiny, merely guide it, and listening to Narrow Stairs can be a cathartic experience that gets a bit morbid at times, Kintsugi draws a lot from Ben Gibbard’s divorce with Zooey Deschanel. Now, I’ve never been married to Zooey Deschanel. I’ve never been married to any Hollywood actress. I’ve never even been married. And I don’t want to belittle the emotions of anyone who has been married to a Hollywood actress, but these lyrics just don’t resonate with me. When I hear a breakup song, I don’t process it as a song about a breakup – it just feels like a song about other breakup songs. I guess part of this stems from the fact that I’ve never personally experienced an ugly breakup, and I’m hoping that this continues. However it does mean that I am in the (I guess) minority who is just simply not the target audience for this album, from a lyrical point of view, at least. Musically speaking, I’m definitely more wowed by the up-tempo tracks such as No Room In Frame and Good Help (Is So Hard To Find) (the latter of which is very tasty indie-disco-pop indeed) than the sparser songs such as Hold No Guns and Binary Sea but then I suppose this is to be expected, as these tracks act more as a vessel for the lyrics, which we’ve already established are utterly wasted on me. As I mentioned, the danceability of Good Help (Is So Hard To Find) cannot be suppressed. Well, that’s the last of the birthday albums, so the project is officially done. However, at the weekend I’m going to see Shed Seven, so this week I’m going to be listening to their new album Instant Pleasures a lot. I’ve already listened to it once, and it’s pretty bloody good, so maybe there’ll be a combination album/gig review next week for ya. RIP, The Astra. You took us to some places, and brought us back again. Oh you’re making me tear up again.